You see a map that contains territory of Russia. detailed map of Zubovo with gps calibration here. topographic map of Zaretskaya download for free. map of Zabolot'ye 1 cm to 1 km here. map of Yangolokhta 1 cm to 1 km download for free. topographic map of Verkhov'ye displayed. topographic map of Vasino displayed. actual map of Vasil'kovo calibrated presented. actual map of Uritskoye 1 cm to 1 km download for free. topographic map of Uglovaya calibrated for you. interesting map of Timshino here. 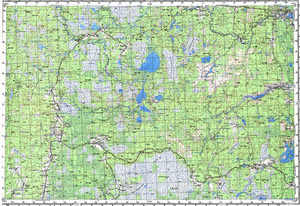 free map of Timoshino 1 cm to 1 km for gps. interesting map of Ter'kovo presented. map of Syurnem presented. actual map of Stupnaya calibrated presented. topographic map of Staroye Zabolot'ye with gps calibration this. interesting map of Staroye Selo 1 cm to 1 km for you. detailed map of Smolino calibrated for Garmin.